Charles D. Wyche, Jr. Elementary is committed always to doing our very best, striving to accomplish our goals, and pursing the highest standards in all that we do. We invite parents and the community to join our highly professional staff in pursing high academic standards of achievement for all students. We value high quality education, high expectations, respect, honesty, fairness, kindness, and reading. We recognize the very importance of reading, therefore, we make reading a priority. Moreover, we work collaboratively as a team to promote these values and a positive school spirit. Our goal is to develop the principles of sound character for all children and create an atmosphere that will encourage active learning and self motivation. We place special interest and emphasis on creating a happy and safe school environment. Our students are wonderful! 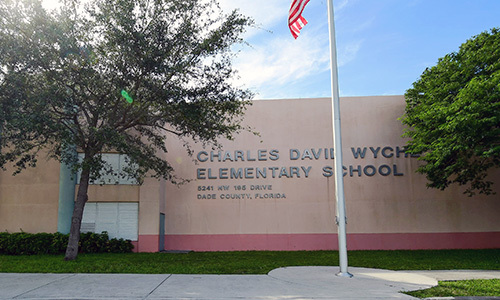 It is a privilege to have the opportunity to be a partner in the education of students that bring life to Charles D. Wyche, Jr. Elementary. I know you will feel the school spirit every time you walk into our school.